The new reality is augmented reality and Magic Leap has been working on their own augmented reality device for a few years. 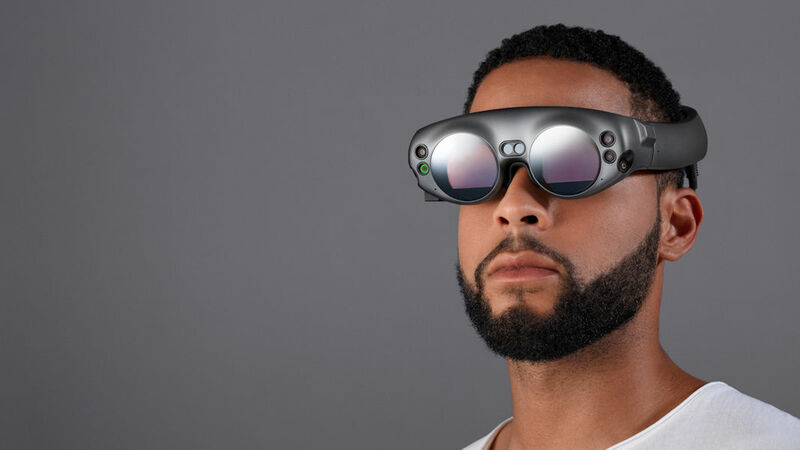 The fruits of their labor have paid off and they have unveiled the “creator edition” of the Magic Leap One. This augmented reality system includes the AR goggles paired with a small external computer called the Lightpack. You also get a handheld controller. I have to say, the goggles themselves look pretty fantastic compared to the ugly offerings we normally associate with AR and VR goggles. They have a small form factor that some feared would lead to a performance loss, but by all accounts, that’s not the case. The Magic Leap One has several input modes like voice, gesture, eye tracking, and head pose. One of the cooler abilities is that it can map persistent objects onto the environment, so if you place an object on a mantle, for instance, that object will stay put and be there when you come back. You can get the goggles in two different sizes with options to choose custom nose, forehead, and temple pads, because you have to be comfy when wearing it. The company has plans for built in prescription lenses down the road as well. The power of the device is said to be on par with a MacBook Pro or an Alienware gaming PC. The Magic Leap One Creator Edition will ship at some next year, but we don’t have a price yet.